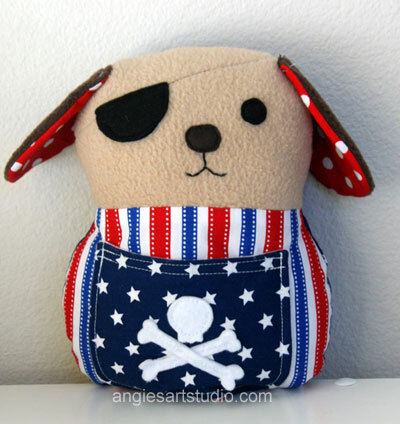 This week has been busy busy busy in my studio with lots of orders, including this special request for a pirate dog. 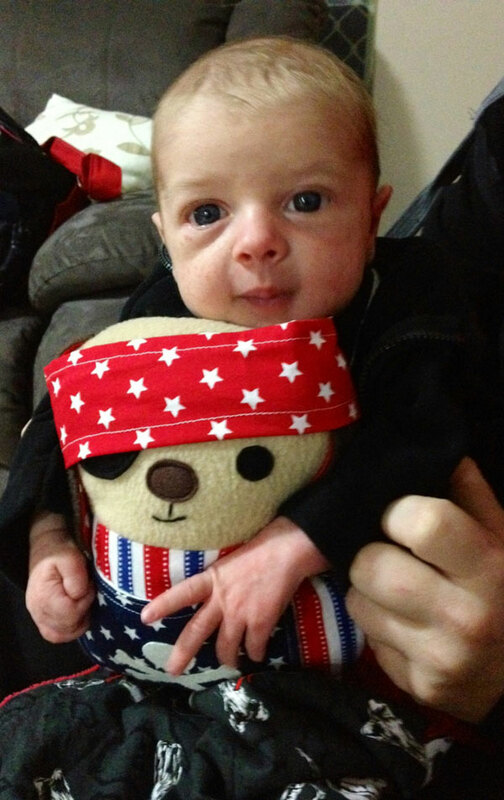 Arrr, arrr! 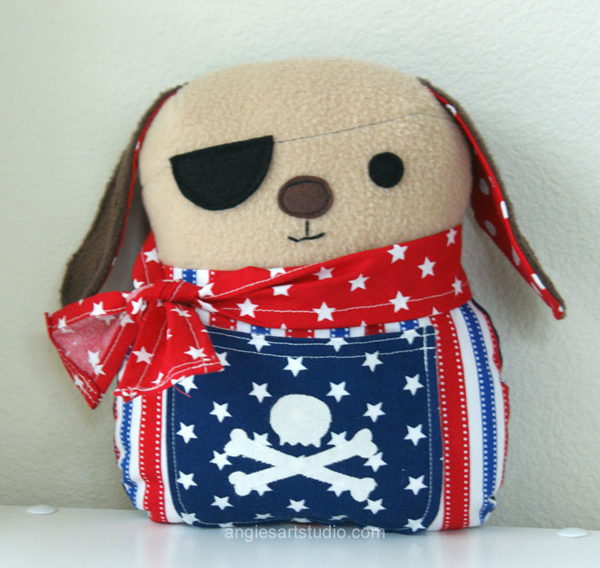 Has a front pocket for stashing treasure – I really like pockets on plush toys, I think I will continue making more stuffed animals that include a pocket. 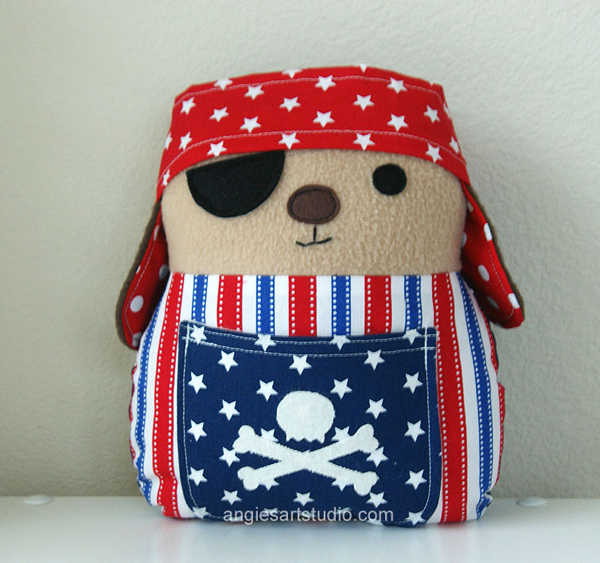 This pirate dog is sailing all the way to western Australia, I hope the little guy at the other side of the world will like his new mate! Bandana can go around the neck as well. On the left is a picture of my first attempt – I decided I needed to tweak a few things, like make the ears longer, head a little bigger and maybe the body a little wider. I’m glad I did, as my second round in making it turned out much better I think. I also changed the cross bones and skull on the pocket from felt to flannel fabric and ironed it on with interfacing that has the double-sided glue on it. 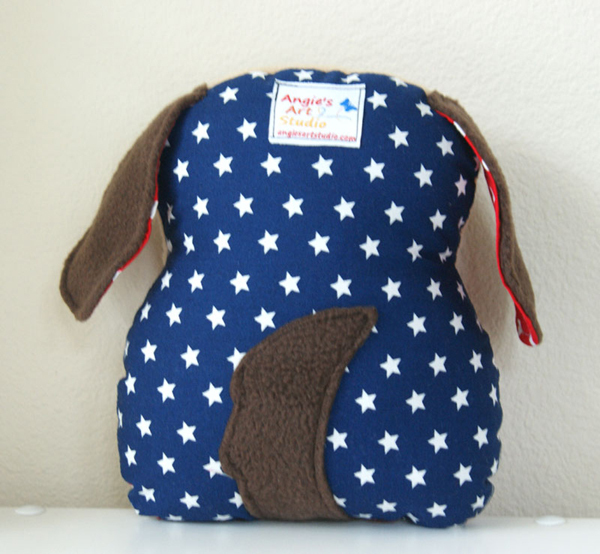 I really enjoy working with people on special requests and custom orders. 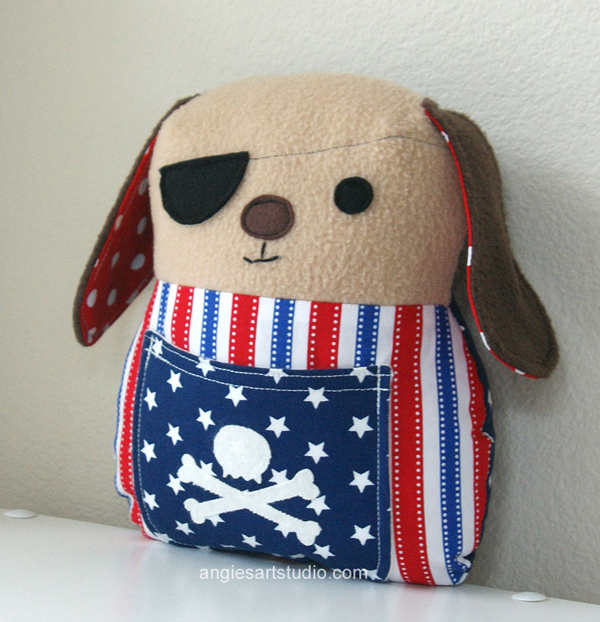 Overall this pirate dog has turned out to be a cutie! Angie that is way too cute. They love the pockets at the hospital too. Love what you make! Thank you Dona! I admire what you do, too.